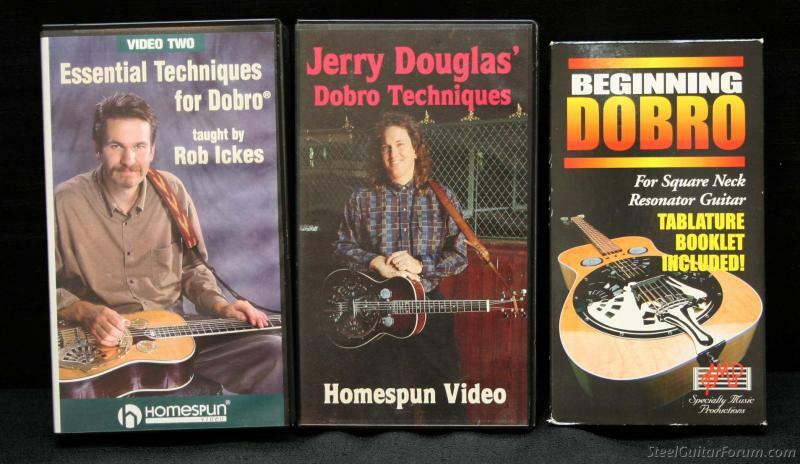 Now that I've mastered the Dobro, I don't have a need for these great videos. 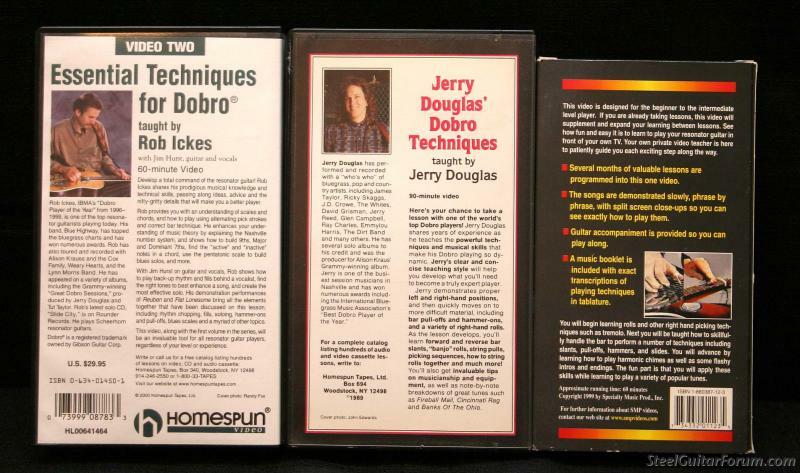 So if you too want to learn from the best......buy these! And if you believe that first line I've got some Ocean Front Property here in Utah that you might be interested in also. I really don't want to break them up so price on the tapes as a package of 3 is $29.00. I'll pay the shipping. I don't do PayPal but will take a money order or a personal check if you're willing to wait for it to clear. Thanks for looking in. Is It Technology or Price that's a problem?? ?